This new information was published last month in the open access journal PLOS ONE. The fossilized eggs were formed together in a cluster that appears very similar to those laid by modern parasites. The discovery is a major step forward in the understanding of the history of the parasites that can infect regular present-day foods like pork and beef. 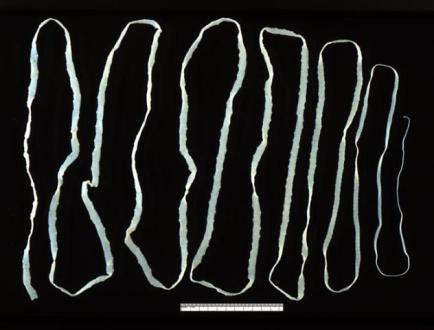 It also shows that intestinal parasites are much older than previously thought. The fossil is from the Middle to Late Permian period, a time just before the largest mass extinction on the planet when 90% of marine animals and 70% of land animals died out. The tapeworm not only survived, but thrived.